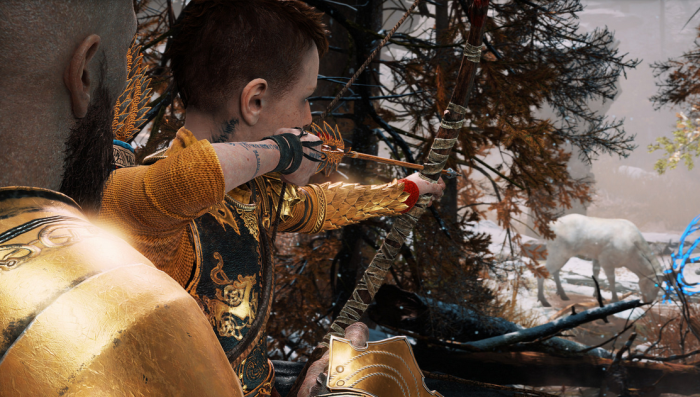 Shannon Studstill Head of Studio, Santa Monica Studio took to the PlayStation Blog to celebrate and thank fans on the one year anniversary for God of War( 2018). The game released last year and it has been a crazy year for Santa Monica Studios. Not only did God of War break breaking number records in the sales and reviews departments, but it has won a ton of awards including Game of the Year! To thank their fans, Santa Monica Studios will be giving some free God of War freebies away and if you own a PS4 and loved the titular game, you are going to want to get your hands on this! We’ve crafted a fantastic God of War Anniversary character PS4 avatar set that will be available free this Wednesday, and a PS4 dynamic theme available right now that will bring you back to serenity with Kratos and Atreus in the Lake of Nine. They’ll both be free at PlayStation Store (search God of War), whether you own the game or not. God of War is currently one of the best games of the generation, providing a new story for our beloved hero Kratos to venture out on. Who would have thought out of all the games PlayStation could have returned to, that Kratos would make such a positive return? God of War is now available for the PS4.